Chilli Hills Con Carne is in culinary this what is Slayer in metal music. 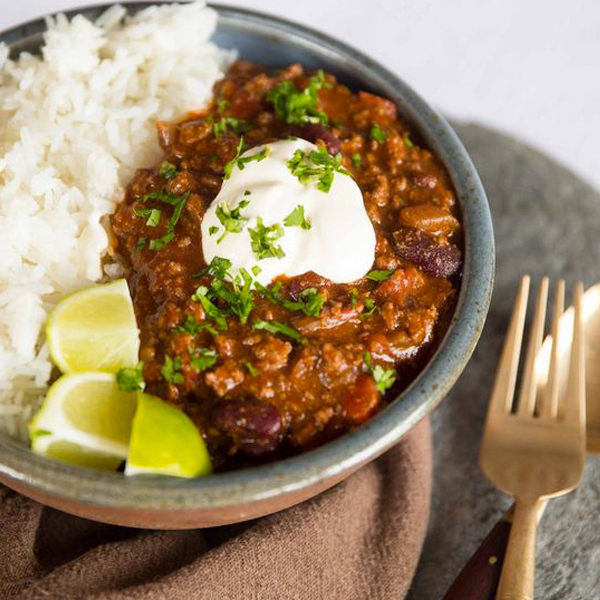 Chilli con carne is an emblematic meal of Mexican cuisine. Name coming from Spanish literally means Chilli with meat. 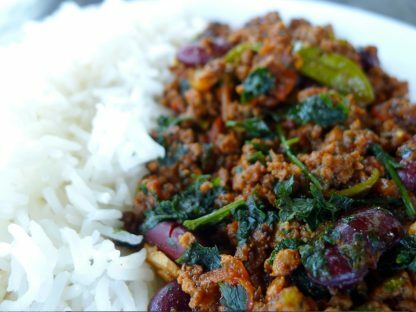 We personally believe that Chilli con carne is a meal with strong individual character depending on chef`s character. There is no specific way of cooking it. There are some frames but all depends on you. For us the quality of this meal depends on the ingredients inside: veal meat, smoked paprika, good choice of chilli (combination of chilli powder and very hot peppers) and very important – fresh cilantro. Do not be afraid of the fresh cilantro – it will bring the ocean to you! The first and most important thing is to find a suitable deep container with a casserole lid. Prepare the vegetables, cut the onions into middle cubes, the peppers into stripes, chop the garlic. Pour olive oil in a deep dish, put on medium temperature, add onion and fry it until golden color. Add the red pepper, garlic, chilli powder, smoked paprilka and cumin. Stir for 3 minutes. Add the ground beef and pour half of the broth. Stir well the beef so that it becomes a smooth mixture. Cover with lid and let it simmer for at least 10 minutes. Add the glass of wine, the rest of the broth, tomatoes, sugar, whole chilli peppers, stir well and put the lid back. Cook it for 20 minutes, as stir it well on each 5 minutes. Chop the fresh cilantro and add it to the meal. Now check if the water on the surface has evaporated and when the ground beef is still covered with thick tomato paste, add the red beans. Add some salt and black pepper optional. Leave the meal under the lid for more 10 minutes, check if the sauce is ready, and smells phenomenal, add the chopped cilantro and serve. For a side dish we use basmati rice. Rinse very well a tea cup of rice with cold water (until water becomes clear). Put it in a saucepan and add two tea cups of cold water. For basmati rice the proportion water/rice is 2:1. Put the pot to boil under lid and when the water boils check with a fork if the grains separates from each other. If there is no more water and the rice is not sticky, then it is ready.